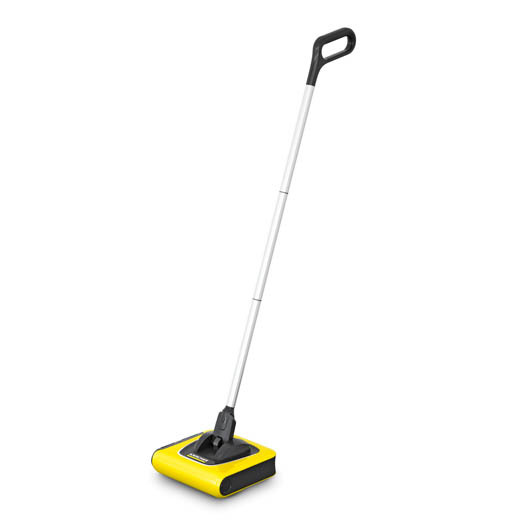 The KB 5 cordless electric broom is a super light and effective battery powered broom. Easily pick up dirt on both hard and soft floor coverings. Cleans close to edges for wall to wall cleaning. Waste container is easy to remove and empty. Fast and effective intermediate cleaning of hard floors and carpets: The perfect job for the KB 5 cordless electric broom. 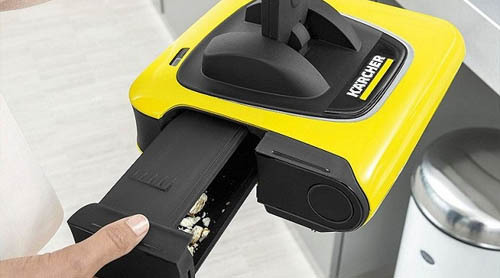 Thanks to the Kärcher Adaptive Cleaning System, the cordless electric broom delivers outstanding cleaning results and removes dirt easily and fully. 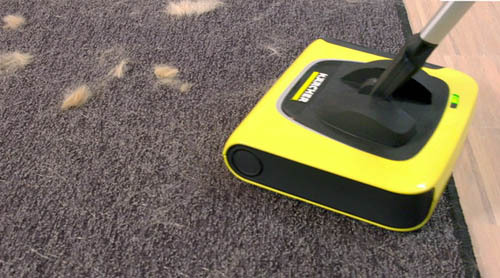 The KB 5, which runs on a lithium-ion battery, is ready to use more quickly than a vacuum cleaner and makes intermediate cleaning extremely convenient: it allows you to work ergonomically without bending over, sweeps very close to the edge, reaches even between chairs and under furniture and can also be used comfortably on steps. 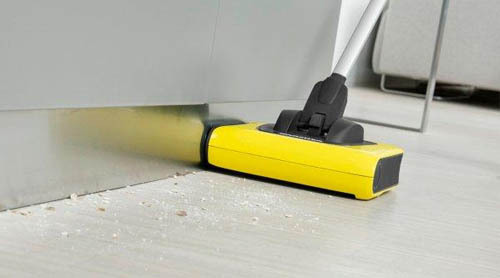 Other equipment features and performance characteristics of the KB 5 are the automatic on/off switch, flexible double joint for easy manoeuvring, the dirt container that can be conveniently removed from the side, universal brush, space-saving storage and the low weight of the cordless electric broom.